Each of our hotel guests can choose from our DELUXE & SUPERIOR & STANDARD & TWIN rooms created using light colours and comfortable rich contemporary design. DELUXE rooms have sofa bed and are suitable for two adults and one child. Sofa bed fee applicable. Each of our hotel guests can choose from our DUPLEX & STUDIO rooms created using bright colours and very minimalistic design. DUPLEX rooms have sofa bed and are suitable for two adults and one child. Sofa bed fee applicable. 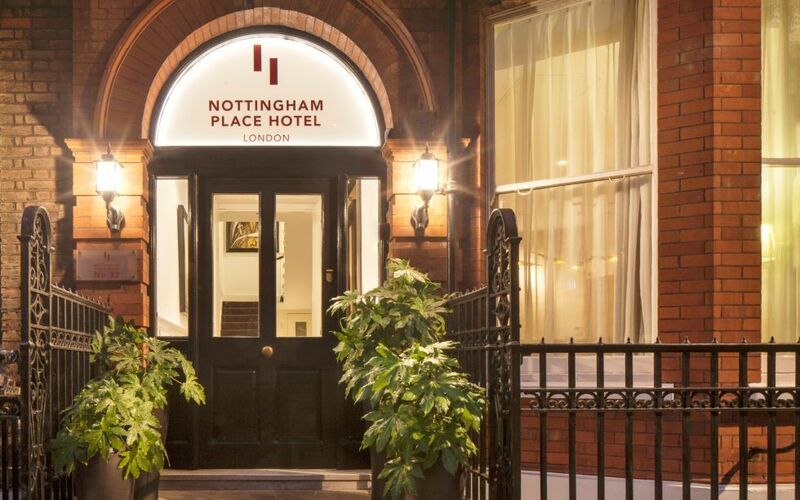 • Small hotel conveniently located in Nottingham Place W1 at the heart of central London Marylebone. • Close to Baker and Oxford Street, adjacent to vibe of the West End, Soho and the City, a short walk to a multitude of exciting boutiques, museums, restaurants & bars and trendy designer stores. • Baker Street is the nearest underground station and is approximately 3 minutes walking distance. • Traditional and classically rich design.